A $35 non-refundable/non-transferable registration fee must be submitted in order for camp registration to be processed. In the event that a dancer does not attend summer camp, the $35 registration fee will be forfeited. Students will not have the opportunity to make-up missed classes; additionally, there are no discounts or refunds issued for missed classes during camp. 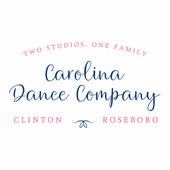 Camp withdrawal requests must be received via email (carolinadancecompany@gmail.com) a minimum of 15 days prior to the start of camp in order to receive a refund for camp. Withdrawal requests received less than 15 days prior to the start of camp will not be issued a refund. The $35 registration fee is non-refundable & non-transferable. Campers that withdraw from summer camp will forfeit the $35 registration fee. Carolina Dance Company does not carry medical insurance for its dancers. It is required that all dancers be covered by their own family insurance policy. If injury occurs it is understood that the dancer's own insurance policy is the only source of reimbursement.